I hate making school lunches. HATE. I cannot really emphasize that enough. I have one kid who is celiac disease and has to be 100% gluten free and another kid who hates anything gluten related except for macaroni and pop tarts. One kid who will only eat carrots in her lunch and one kid who rotates between peppers, broccoli and cucumbers. So I decided to make the kids write out all things that they would be happy about having in their lunch once school started. They sat in this spot for a long time and didn't come up with a whole lot of options but here they are, keeping in mind that they have to have a fruit, vegetable, yogurt tube, cheese string and a fun snack along with their suggestions, nachos + salsa, garlic sausage + crackers, pasta, jam sandwiches, grilled cheese, left overs, salad with peppercorn ranch dressing, muffins, rolled up ham or turkey slices. The majority of those are Penelope's suggestions. FInley is much more difficult despite having no dietary restrictions. 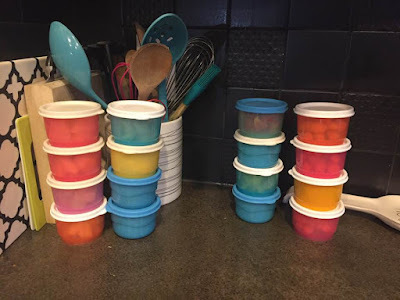 To make things easier, on Sundays after I pick up my groceries, I cut up all of our produce and I put them in snack cups from Tupperware so that they are already to go each morning for the girls. Blue and yellow are penelopes and pinks, oranges and purples are Finley's. 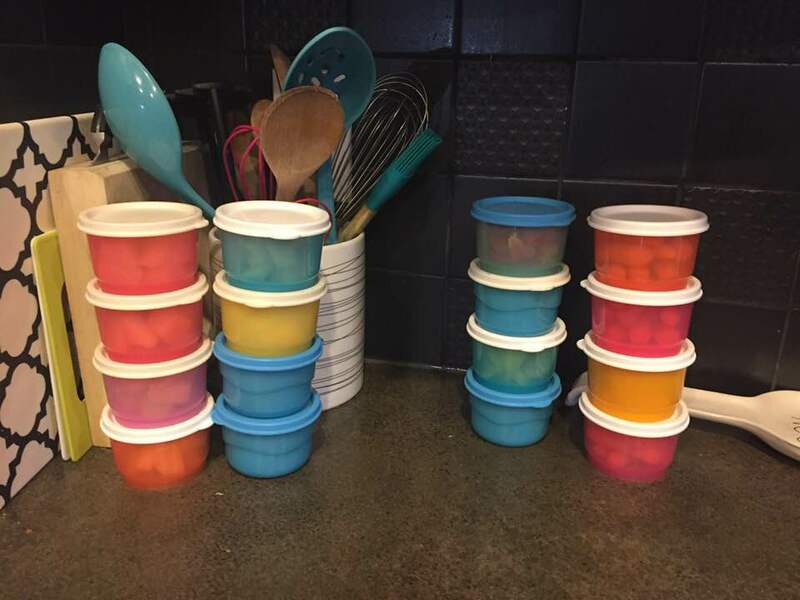 I love these containers from Tupperware so much!! We are now 2 weeks into the school year and lunch making is already a frustrating process. What are some things that you send your kids to lunch with?? 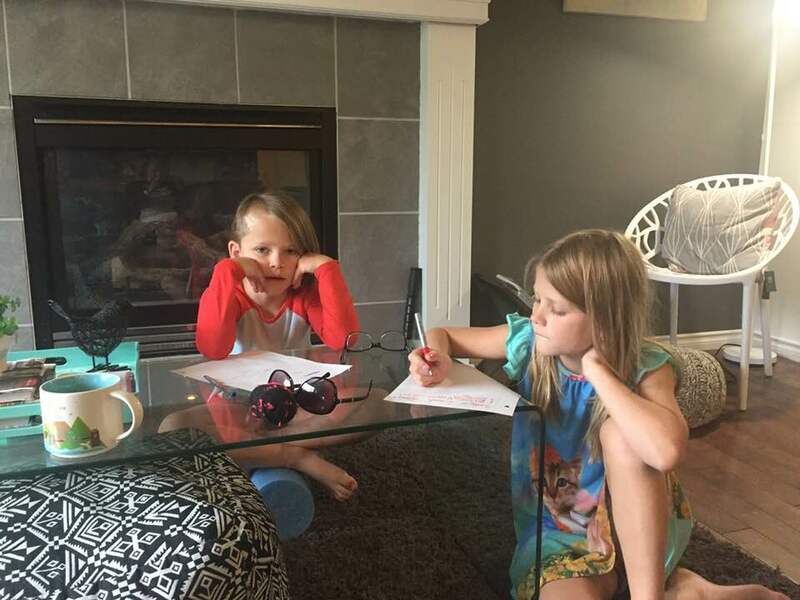 We could use all of the ideas we can get for these 2 kids of ours!